imageMEDIA provides high-quality, full-color printing, direct mail marketing and digital advertising services in Arizona — Postcards, Posters, Brochures, Business Cards and more! imageMEDIA is located in Tarpon Springs, a thriving community on the west coast of Florida known for it’s rich history in sponge diving. This convenient central Florida location makes us the perfect choice for your Arizona printing, direct mail and digital advertising needs. Your Phoenix Local Printer: Whether you need Arizona printing in the Phoenix area (Phoenix, Mesa, Glendale, Chandler, Scottsdale, Gilbert, Tempe, Peoria, Surprise, etc. ), Tuscon, Yuma or anywhere else in Arizona, quality printing and friendly customer service is just a call or a click away at imageMEDIA. We offer you great values for postcard printing, business card printing, brochure printing and more. We also have a creative and competent in-house design staff ready to work with you to create the artwork you need for your printing campaigns. And our mailing professionals will help make your direct mail campaigns hassle free and profitable. For Phoenix printing solutions or Tucson printing solutions, imageMEDIA is your source for Arizona print products and services. In addition to affordably priced, high quality printed products and friendly, helpful customer service, we are continually creating new ways to save you time, provide you value, and improve the experience of obtaining the printed materials that help define your image and drive your marketing campaigns. Free online tools can save you time and money. Through your web browser, you can start from a wide selection of templates to create your own business cards and postcards. When you have produced the desired piece, you are just a few clicks from placing your order. You can take as much or as little time as you need. For business card printing and postcard printing, as well as brochure printing, greeting card printing, letterhead printing, newsletter printing and poster printing, we offer pre-designed templates. You just select the template that best suites your needs and with your information our in-house design staff will quickly and affordably customize it for your specific Arizona printing requirements. If you can’t find a template that works for you, or your requirements are off the beaten path, our designers can work with to create a vision that is perfect for you and your company. And if you already have artwork ready to go, but want to be certain that it is ready for the press, use our Free File Check service. Upload your files and our prepress department will review your files. If there is anything that might prevent them from printing perfectly, you will receive detail instructions of what needs to be fixed. When you are ready to print, you’ll be able to have total confidence that everything will go smoothely. 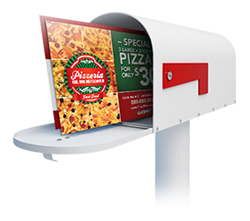 Effectively promoting your products and services without breaking the bank is crucial and a direct mail campaign is an ideal solution for many businesses and organizations. We’ve developed the Direct Mail Return on Investment Calculator to help you determine if a direct mail campaign is right for your situation. It allows you to choose the mailable product that fits your needs and then track all the costs associated with conducting your campaign. You’ll know at a glance if you might run into problems or if it ought to be a resounding success. Once you have put in the numbers it is easy to save or share the results. Once you have decided to go with a direct mailing campaign, we can assist you with acquiring a targeted mailing list, placing your order and scheduling multiple mail drops if necessary. Depending on your needs, you could benefit greatly from a variable data printing campaign. Your account representative can work with you to discuss your specific needs and devise solutions for you. When you need a partner for your Arizona printing and marketing campaigns, choose imageMEDIA. In addition to printing and direct mail marketing, imageMEDIA can help you reach more Arizona customers with local digital advertising and online banner ads. 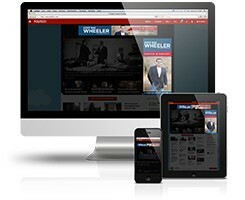 Now your business can deliver affordable Arizona digital advertising to customers on premium websites like Fox News, ESPN, Facebook and more — on any device. Nurture interest with retargeting and deliver online banner ads to customers that have visited your website. Reach new customers in Arizona online with digital advertising by targeting interests and demographics using the same data as Fortune 500 companies. People walk out to their mailbox and spend countless hours online every day. We make sure you never miss an opportunity to reach new customers by delivering your Arizona direct mail marketing and local digital advertising to the right customer at just the right time. Contact us and learn more about why imageMedia is the perfect partner for all of your local Arizona printing, direct mail and digital advertising needs. Complete the form below and download a free marketing toolkit that includes printing, direct mail and digital ad design samples, information about imageMEDIA and some great ideas to help you reach new Arizona customers and grow your business. Available for download instantly!